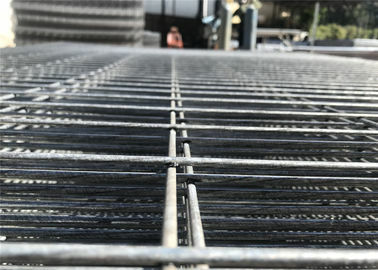 Temporary fences are made using galvanized steel wire strands and welded together to form a high strength mesh. 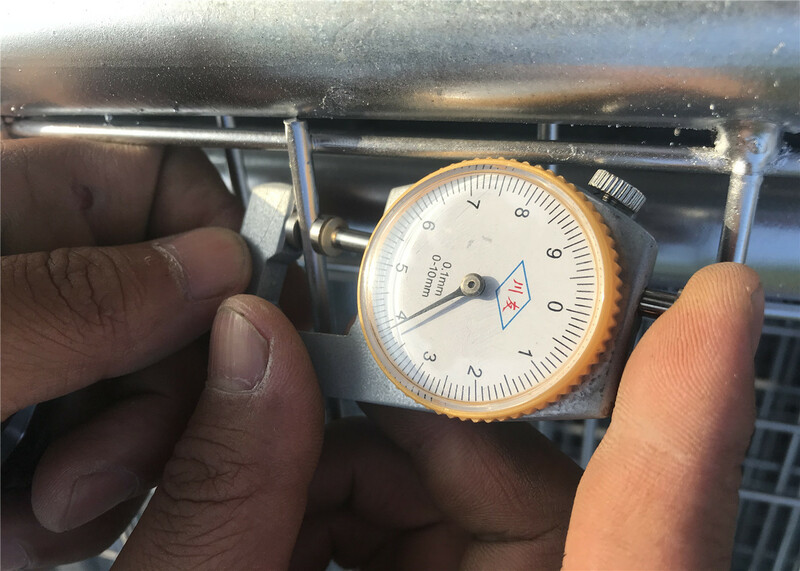 With a galvanised finish and fully welded frame, the system offers a total package for your site, giving a system that is user friendly to you and the general public. 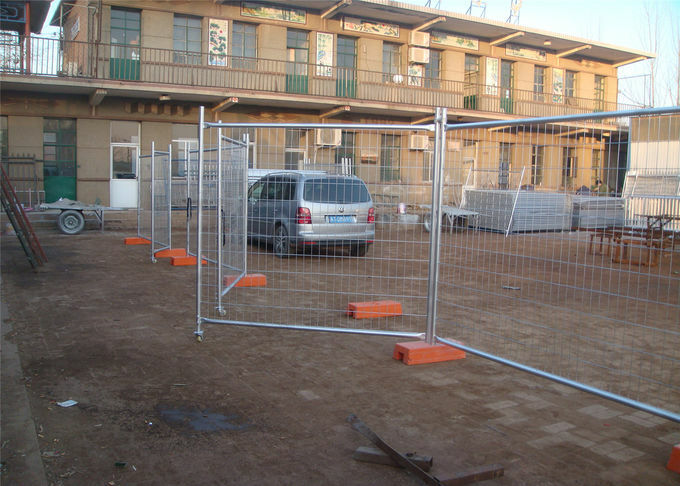 Temporary fencing panels are used predominantly as high security barriers where visibility through the fence is necessary or desirable. 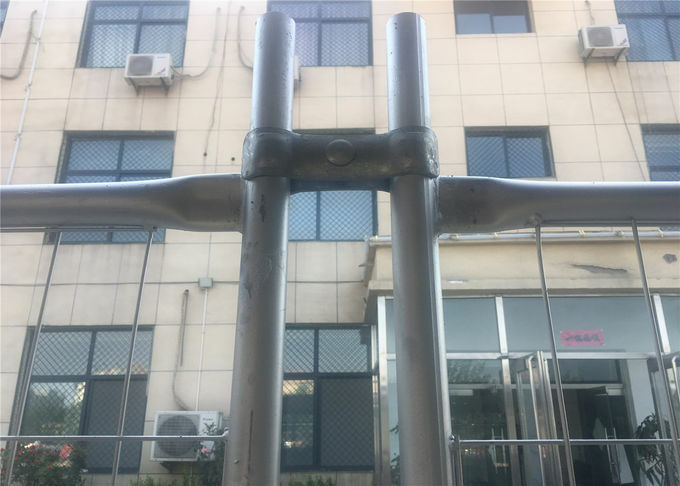 It has wide applications as a protective fence and can be used to strengthen security systems in railways, airports, highways, stadiums and other public places. 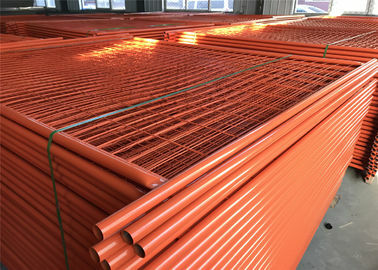 It also can be used in all kinds of anti-climbing and anti-theft installations. 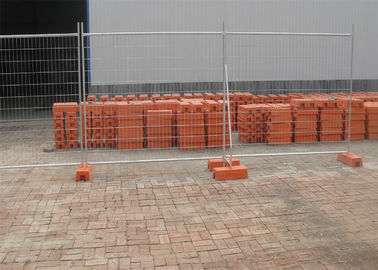 Panel stabilisers used to ensure sturdy fences on long runs or wind prone areas. 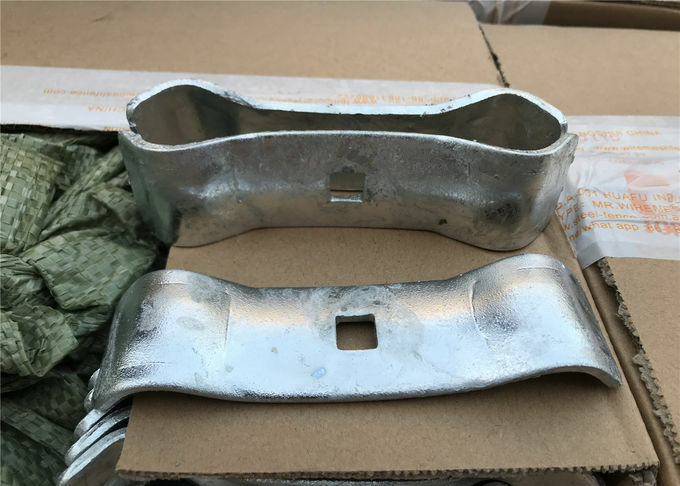 Feet 600mm x 220mm x 150mm weighing approximately 36kg. 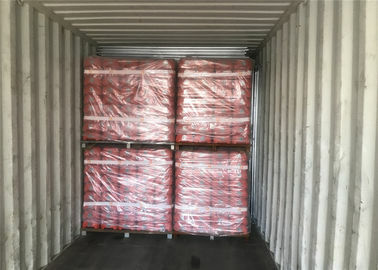 600mm x 250mm x 130mm weighing approximately 32kg. 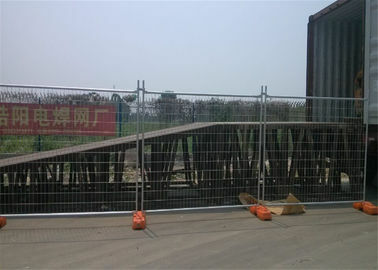 550mm × 250mm × 130mm weighing approximately 30kg. 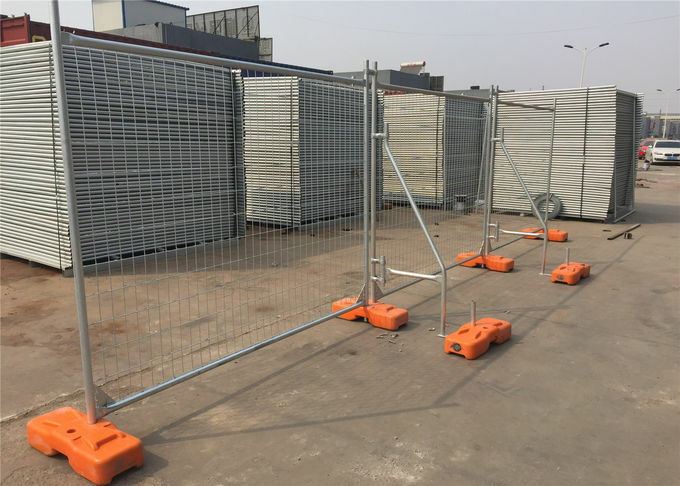 All fence panels are manufactured from high quality galvanized steel with mesh infill, weighing in at approximately 31 Kg and measuring 2500 mm in diameter and 2000 mm tall. Bracing can be applied to prestige, mesh and hoarding fence systems in order to provide additional strength and stability. 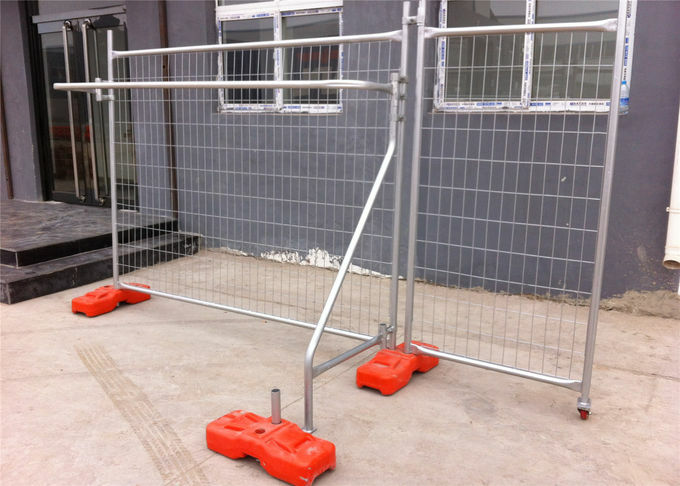 All clamps are an integral component of installing secure temporary fencing. 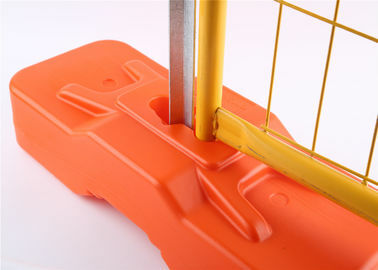 Our temporary fence clamps consist of a central nut, bolt, making securing two panels easy and fast. 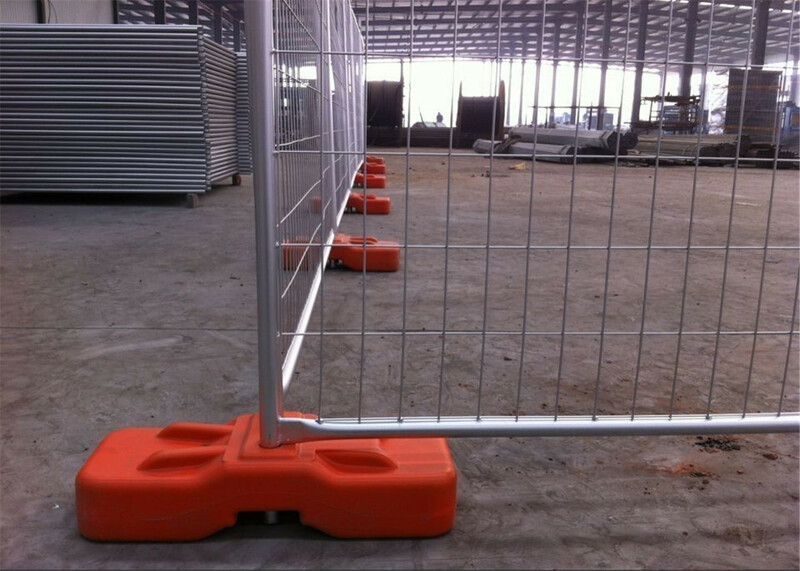 600mm x 228mm x 150mm Blowmoulded fence foot weighing 29kg (+/-) Safety orange in color. 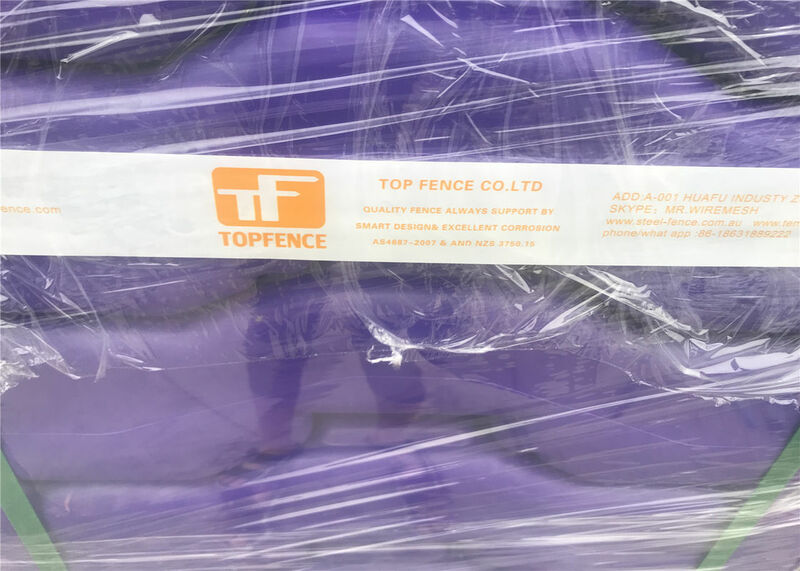 UV and Anti-aging added to the plastic. 760mm x 200 x 130mm 18kg and grey or orange in color Complies with Australian National One-Man Lift regulations and Wind Rating B. 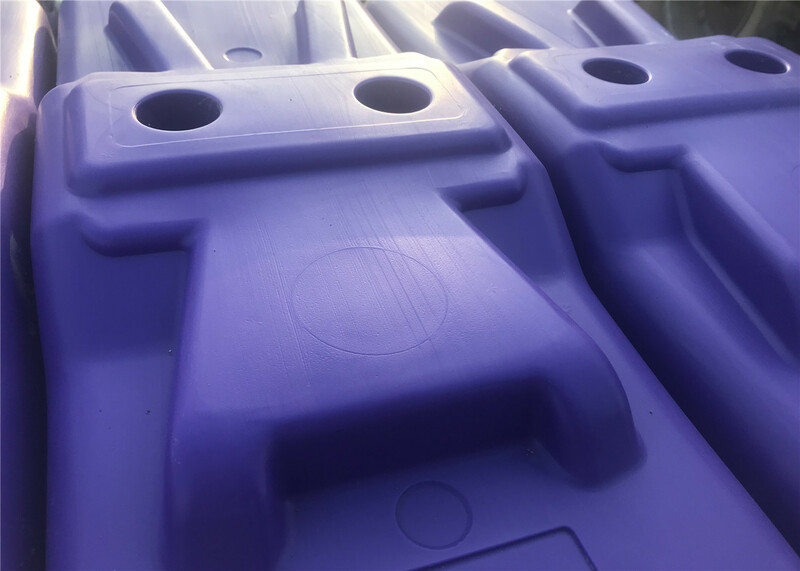 The longer shape allows for greater support Quality mould to suit the harshest Australian environments. 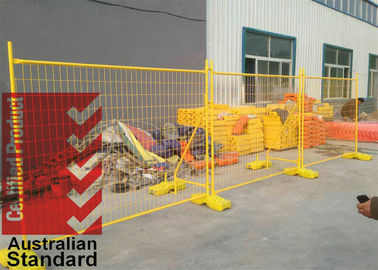 600mm x 850mm x 230mm Each part weighs 14kg Complies with Australian National One-Man Lift regulations Safety orange in colour UV and Anti-aging added to plastic Fully encased moulding ensures no concrete debris in left on site reducing environmental safety issues Interlocking system for secure base when installed Quality mould to suit the harshest Australian environments. 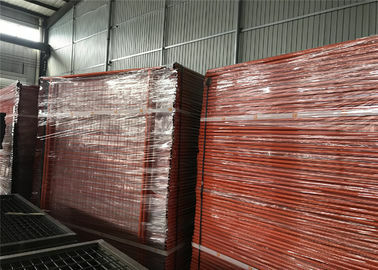 Each part weighing just 16kg. 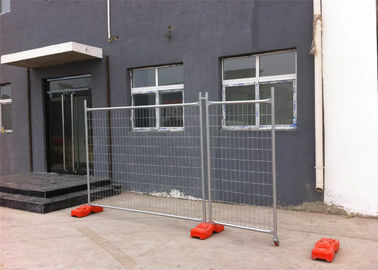 Hand welded with hot dip galvanised coating. 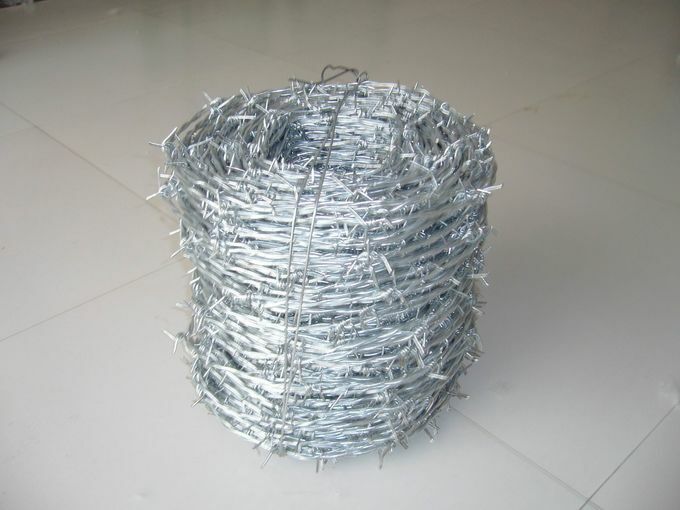 Barbed wire can be fitted to the top of the fence if extra security is required. 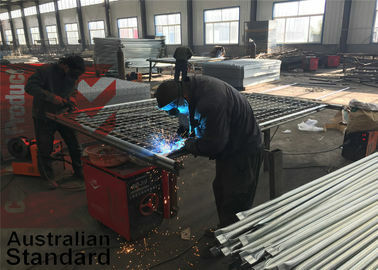 Hand rails can be fitted to the fence if extra safety is required. 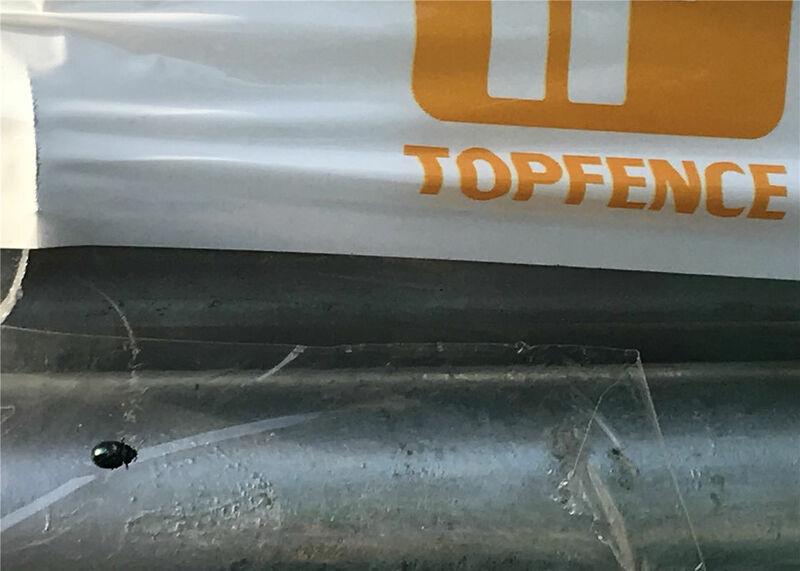 Dog proofing can be used to fill in the gap between the ground and the fence panel in order to stop anything passing through the small gap.